Inconvenient and not true! 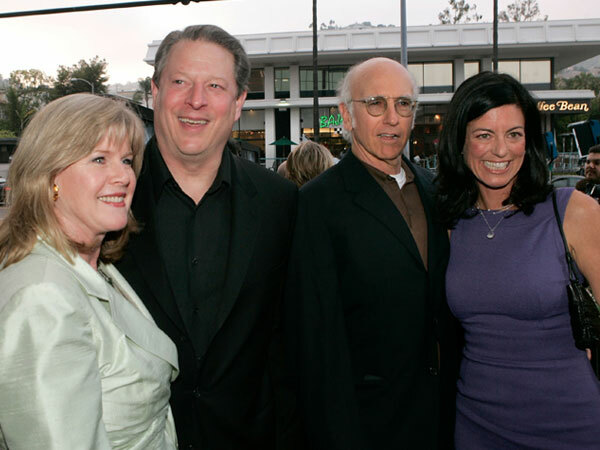 Laurie David, environmental activist and former wife of "Curb Your Enthusiasm" star Larry David, is slamming a tabloid report that claims she had an affair with former Vice President Al Gore. Laurie's rep told "Extra," "It's completely and totally untrue!" Laurie separated from the "Seinfeld" creator in 2007 amid reports that she was cheating with a caretaker of their Martha's Vineyard home, with whom she is reportedly still in a relationship. Last month, Gore and his wife Tipper announced they were separating after 40 years of marriage, releasing a joint statement that said, "This is very much a mutual and mutually supportive decision that we have made together following a process of long and careful consideration." Laurie David was a producer on Gore's environmental docu, "An Inconvenient Truth."